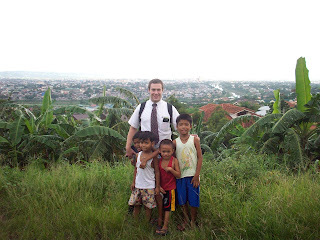 We received some more emails from Elder Mauzy in the Philippines. He is working so hard and is growing through the spirit a lot. He is really missing carpet and grass since both of those aren't anywhere to be found in the Philippines. 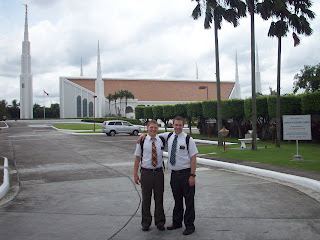 All the little kids call the missionaries "Joe", short for GI Joe or Masarap Man. The pictures show how happy and how hard he is working. And some of the gross things he has to eat! We miss him of course but, we couldn't be more proud!! I Love this picture of Trev!! This is called Belut. 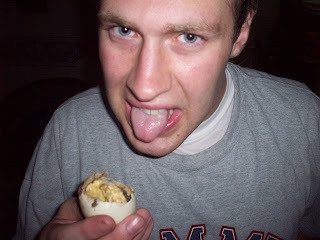 It is worse than eating a raw egg!! It is already half developed. So Gross! !